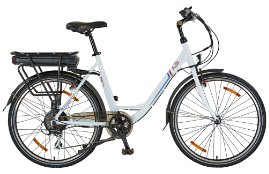 Designed with a more traditional bike-rider in mind, the Galvani and Ferber will appeal to consumers looking for the benefits of an ebike whilst maintaining the more traditional appearance of a bike. 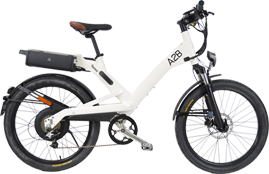 At a lower price point of £1,499RRP the Galvani and Ferber extend the A2B range into the mainstream price bracket which will appeal to first time ebike buyers, in particular. The new models are also lighter than other bikes in the A2B range and come with brushless rear hub motors. The Galvani has a sporty look and larger wheels, so it looks good and moves more easily over obstacles. The low step through of the Ferber will appeal to the female buyer. The Hybrid/24 will be launched in Q1 2014. With hydraulic brakes as standard, ergonomic comfort grips, a magnetic battery plug and upgraded 40 lux head light, this model will find favour amongst riders looking for a sporty solid ebike with a high torque. More information on these and all our models is available online.